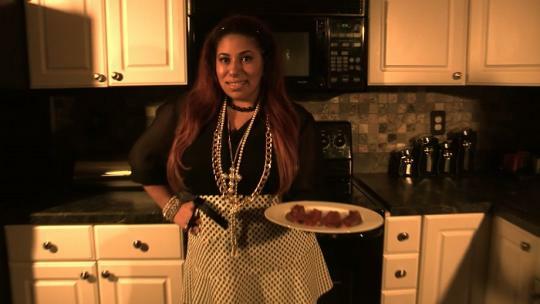 Harmony Muzik did it again, this time with her new video "Taerkey Bacon". Fans of Showtime Original hit TV show 'Dexter' are in for a treat as emerging Hip Hop artist Harmony Muzik remakes the opening credits. Check out the first visual from Harmony Muzik's fifth studio album, Small Giant (due June 25th), "Taerkey Bacon" (produced by Scrilla Ventura). A short, matter-of-fact type visual to match equally potent wordplay, "Taerkey Bacon" is a slight departure from Harmony's previously calmer records. Small Giant promises to give fans a more intense body of work to keep them on their toes.